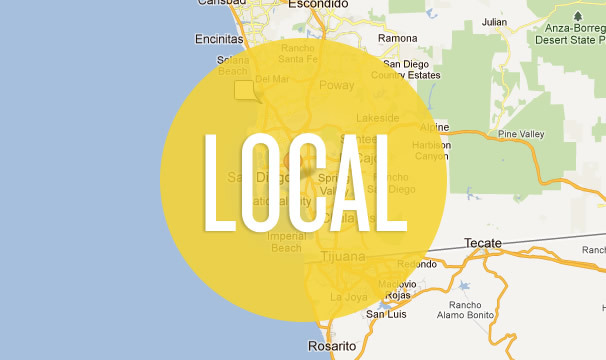 Local is the latest buzzword in Online Marketing and seems to be the very last mile of the Internet Marketing gold rush. Now, everyone from the major search engines to city specific business directories and publishers are vying for your local marketing dollar. Having been in this space for over 12 years, the local play makes sense. Early on, the search engines focused completely on National rankings. So if you optimized your website, for example, for a keyword phrase such as “Apparel”, you’d be competing on nationwide level – even if you were a local brick and mortar establishment. Ad platforms were the first to offer geo-targeting and then others followed suit. But soon came local review and directory sites and such and then a whole Industry was formed around localization. With that came the snarky salespeople (yes Yellow Pages, we mean you) that went after the small Mom & Pop shops with vigor and left a lot of small businesses with a bad taste in their mouths for local advertising. Throw in a recession and suddenly sites like Groupon.com and other daily deal websites have emerged in the local space. Admittedly, it can be confusing out there. With so many options now, what should you do if you are a local business? To get the most from your local campaigns, below is the strategy that we currently recommend. Every business is different but all can benefit from advertising smartly in local. Google and Bing are still your best places to start. While many of the services the search engines offer make you “pay to play”, the truth is that most people still go to the search engines first when making their decisions. Both major search engines offer pay per click (sponsored) listings as well as free local map options. The beauty of PAID search engine marketing is that you have a ton of flexibility – you set your budgets, you set the time of day in which you want your ads to run, and you get to write customized ads that suit your business needs. You also get to send people to highly targeted landing pages. If you are new to local advertising, the major search engines are the best place to start. Facebook, Twitter, and LinkedIn all offer pay per click options for local advertising. Since most people spend a great deal of time on these sites, they are a great place to market but only AFTER you’ve been running ads on the search engines. The targeting capabilities of each platform are unique and require some knowledge to use them effectively. But ultimately, if you want additional visibility in these important social platforms, advertising here is an ideal secondary option. Facebook, by far, offers the most in terms of targeting. LinkedIn is a great B2B play. And soon, Twitter will be offering their “promoted tweets” a lower cost option than what they have currently which precludes most businesses from entering due to a very high minimum price point. Still, social media for local is something worth looking into. We’ve seen many companies do extremely well using Groupon. However, we’ve also seen others lose out since they do a poor job of handling the initial onslaught of business they receive through these deals and do not have a plan to retain the new customers they’ve acquired through their promotions. Most customers only use the daily deal once, never to return again. Despite this, deal sites can and do give local businesses a boost. However, before embarking upon these efforts, businesses should be a plan in place for customer retention. There is also something sort of fad-like about these types of sites and their longevity is in question. The search engines have designs on taking over the local space and that includes the future of a daily deal. Still, for now, using these types of sites and services can work wonders for your business. Again, it just isn’t the first place we would start. Does it pay to advertise on Yelp, YP, Local, Insider Pages, and other directories? The answer really depends on how well a business is currently doing with the previous strategies suggested above. As “one-offs”, advertising in these directories do not seem to help a business grow. When used in conjunction with other local strategies, however, these sites can give a local business more visibility and exposure. Just like with the Groupon example above, we’ve seen just as many customers get burned by Yelp advertising as we do for those that make Yelp work for them. If your marketing dollars are tight, your best bet is to advertise in the search engines first. Previous PostDrupal & WordPress on the same couch?